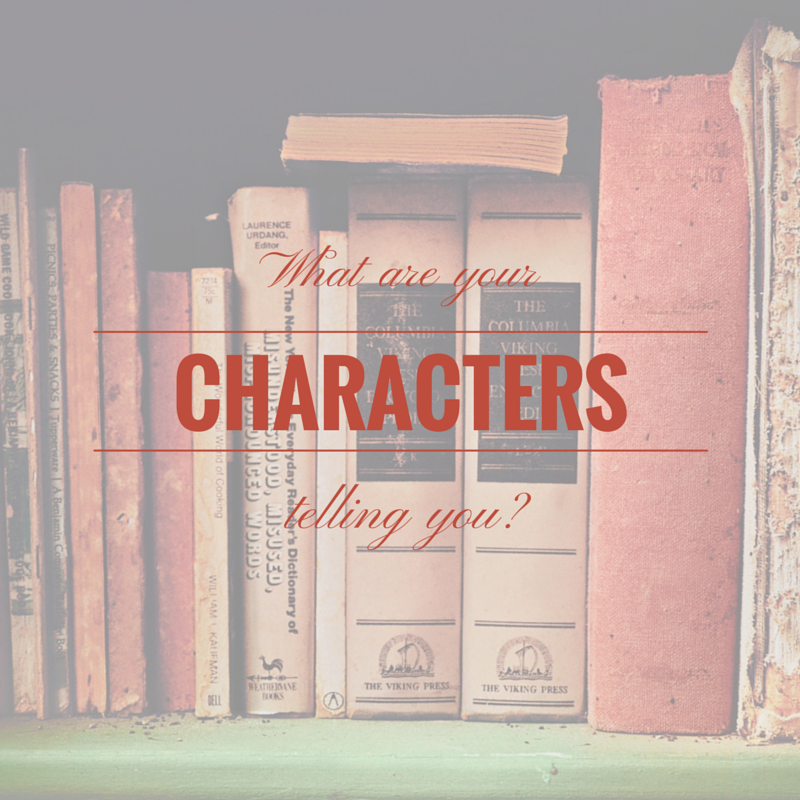 On the Blog: What Are Your Characters Telling You? | LADY. On the Blog: What Are Your Characters Telling You? We are the writers. Yes, that's true. We are the ones in control of what gets written down. But somewhere along the way, what we're writing becomes real, very real, to us. It has to if we're going to spend hours and weeks and years on a single story, doesn't it? Writing fiction is a fickle business (after all, they both stem from words meaning contrived or false). So it only makes sense that the nature of fiction combined with the intimacy of being alone with one's characters for so long would see writers grappling with who their characters are becoming. Writing fiction is like being a parent, and sometimes we don't know what our children are going to do. It's frightening. And it's damn exhilarating, too. And, just like a good parent would, we have to be patient with what our characters are telling us about themselves, even if we don't exactly like what we hear. We think we always know what's best. But maybe there's a better story waiting if only we will sit back and say,"Okay. We'll try it your way." The reason that books are so enticing, so beloved, is because they are the work of someone's life. They are the stories of people, real and imagined, who hurt, and love, and fear, and triumph. We will never stop loving books, and they will never stop yearning to break free from our minds and be shared. There is great responsibility in this partnership. Writers take the voices of their characters and make them known. And no writer wants to get those voices wrong. For about two years, I was a scriptwriter for a faith-based media-buying agency. I wrote scripts for pastors all across the globe and, sometimes, I would need to switch from a male, American, prosperity preacher to a Nigerian, female, powerhouse pastor in a single day. They were our clients. And we worked for them. It was our job, my job, to write in a way that was true to the way they taught. Sometimes I didn't particularly care for what they had to say or how they said it. And my boss was constantly telling me why what I believed was of little importance. I was there to write as though I was that pastor. As though I was a male, American, prosperity preacher. Or a female, Nigerian pastor with a passion for politics. And I understood what my boss meant, but I felt differently. The words I was writing would reach an audience, and they would mean something to them. If I was the one creating them - regardless of whether I was doing so as myself or as someone else, then I was in some way responsible for their impact. And the same is true for authors who are writing fiction. 1) I read a news article, or hear some gossip at the table behind me in the coffee shop, or remember someone from my past and then I imagine a story with that person (or people) in it. I think of what they look like, how their voices sound, what they believe and why. In The Best Kept Secret, I remembered the bullying two young men in my hometown had experienced and started from there. 2) I imagine dialogue between the characters, or between one character and people they meet randomly throughout the day. 3) I pull a scene from what I've imagined and begin writing. Maybe it's an interaction between a character and their teacher. Maybe it's a character's thought. Whatever it is, there has to be a starting point and it's okay for that beginning to change. It's okay if what your characters start with becomes hindsight because you realized they had a deeper past that you wanted to explore. In fiction, it's all okay. That's really the point I'm trying to make. And the most important thing we can do as storytellers is to listen when the stories change. Let them go. Seriously. Because if you believe that what you thought of first is great, just imagine how amazing it will be if you give it permission to keep going.